High capacity waste macerator and bowl discharge pumpThe Quiet-Flush Toilet Conversion provides both quiet operation and user control of water levels in the toilet bowl. A single large pushbutton switch provides a simple flush mode by activating both the rinse water supply and the macerator discharge pump simultaneously. 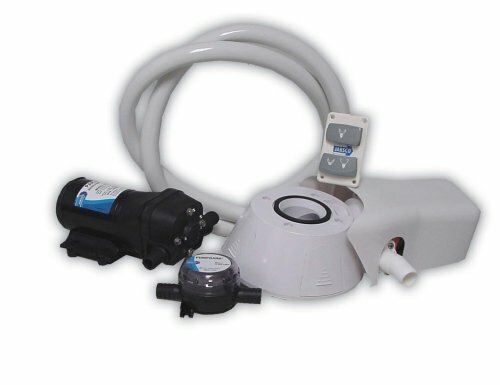 An additional rocker switch offers independent control of the rinse water supply and discharge pump separately so the bowl water level can be easily raised or lowered by the user. This provides a method of minimizing water use, when desired, as well as a means of raising the water level in the bowl when appropriate for user comfort. It also allows for complete evacuation of the bowl water while underway in rough sea conditions.